Replacement parts and service repairs are a simple phone call or email message away. Jot down the serial number and give us a call at 800-443-0843 or send an email to parts@ustruckbody.com. 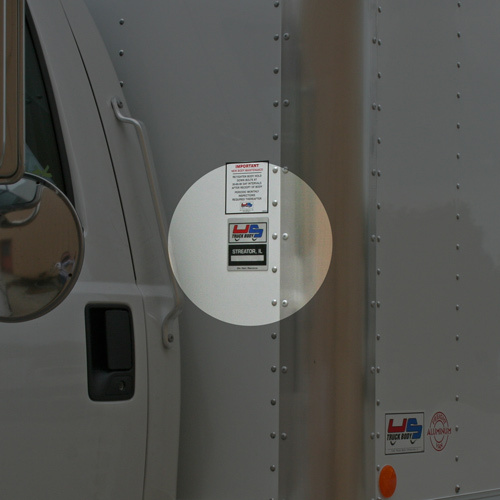 Look for the serial number on the plate attached to the front left-hand corner of the truck box, just behind the cab (see photo). We’ll look up the construction records for your specific vehicle, and we’ll be ready to make repairs or ship the correct parts to your nearest service center. We’re prepared whether you’ve had an accident or just need parts or repair work. To ensure best quality, always insist on only genuine U.S. Truck Body parts to repair your valuable asset.